Dr. Saray Stancic will discuss preventing, treating and managing chronic illness through lifestyle changes during Quinnipiac University’s Dr. Leonard Fasano memorial lecture on Feb. 27. Photo courtesy of Dr. Stancic. “Lifestyle Medicine: The Common Sense Solution to the Chronic Illness Epidemic” will be the topic of Quinnipiac University’s Dr. Leonard Fasano memorial lecture on Feb. 27. 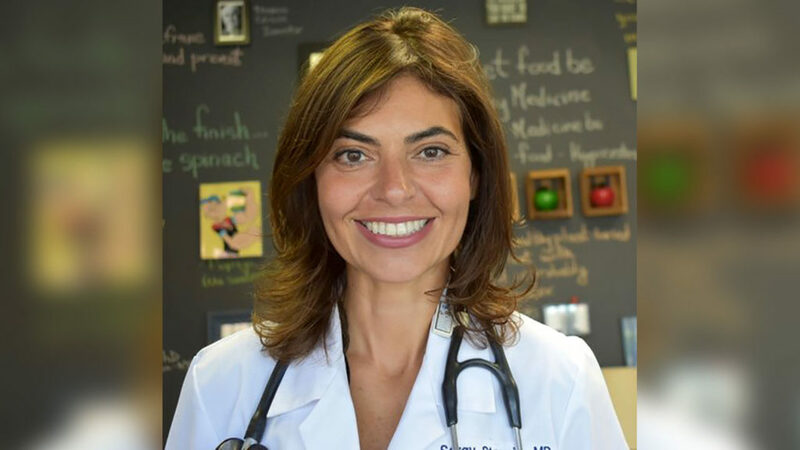 Saray Stancic, MD, founder of Stancic Health and Wellness, LLC, will discuss preventing, treating and managing chronic illness through lifestyle changes from noon-1 p.m. in room 244 of the Center for Medicine, Nursing and Health Sciences on the North Haven Campus, 370 Bassett Road. The lecture is free and open to the public. Lunch will be served. Stancic’s lecture is hosted by the Student Lifestyle Medicine Interest Group at Quinnipiac University’s Frank H. Netter MD School of Medicine and sponsored by Wellness Patriots, LLC. After receiving her M.D. degree from New Jersey Medical School in 1993, Dr. Stancic completed an internal medicine residency and served an additional year as Chief Medical Resident at University Hospital in Newark, NJ. In 1995, as a third year internal medicine resident, she was diagnosed with multiple sclerosis. In response to her personal experience both as a patient and a physician, she shifted her professional focus to disease prevention. In 2012, she founded Stancic Health and Wellness, a practice that focuses on educating and empowering patients to improve their personal health outcomes by addressing and optimizing lifestyle choices that include diet and nutrition, physical activity, stress management, sleep hygiene, maintaining a healthy weight, avoiding tobacco, and reducing or eliminating alcohol consumption. Dr. Stancic advocates for change in medical education to ensure that medical students receive appropriate education on the importance of nutrition and lifestyle in maintaining health, as well as the role it can play in managing and reversing disease and improving patients’ quality of life. She is also an executive producer of, “Code Blue: Redefining the Practice of Medicine,” a feature-length documentary which highlights the practice of lifestyle medicine to prevent, treat, and manage chronic illnesses. Registration is not required but seating is limited.